The wound has festered for five decades. The Hough Riots have cut the historic Cleveland neighborhood deeply, but now an urban winery is taking root and changing the landscape of a neighborhood plagued by violence. Along the way, many employment opportunities left, and in some spaces, a legacy of violence and blight have lived there ever since. There is plenty of good in the neighborhood, too. Mansfield Frazier insists it takes a little tending, and growth. 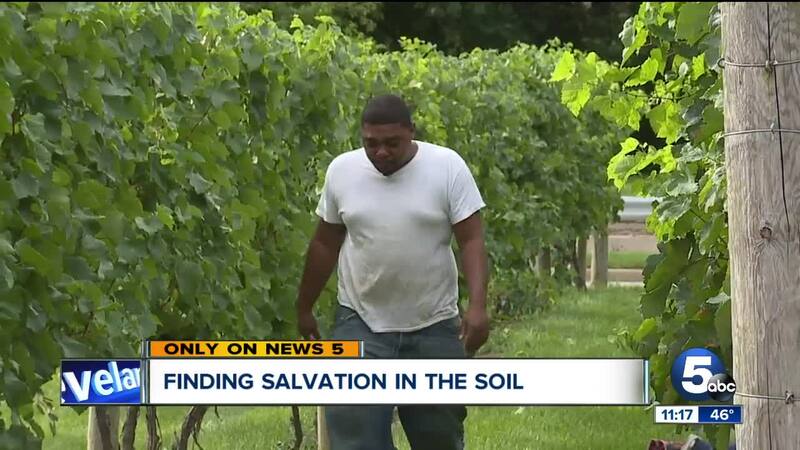 Ten years ago, he planted about 300 grape vines in Hough. Today, Cleveland is reaping the fruit of his labor. Frazier calls the place Chateau Hough. “To see this happening at my age is a very good thing,” said Frazier. "Yea, its tedious work. This is my home, I want to do whatever I can. The land we occupy in Hough is just as valuable to us as the land in Hunting Valley, and our wine will taste as good. We make award-winning wine. No wine snobs allowed." Frazier has made it his mission to relate to everyone, especially people who have a troubled past. He employs them at the winery. "I am my company. I'm formal incarcerated- these are my people,” said Frazier. Frazier spent about six years behind bars for counterfeiting. He’s 75 and has since turned his life around. He intends to do the same with the negative perception of Hough. “Go move into the neighborhood that you wanna help,” said Frazier. Chateau Hough sits in the 1600 Block of East 66th Street. Tours are available from 10 a.m. to 6 p.m., Thursday through Saturday.